There is one caveat, however. It is easier to kill than the average cactus. It needs very little water, so even my once-a-week routine might be too much for this little guy. The problem is, Lithops tend to drink up water regardless of whether it needs it or not. Overwater, and it will fill itself to bursting - literally. So I'll have to be extra careful with this one. 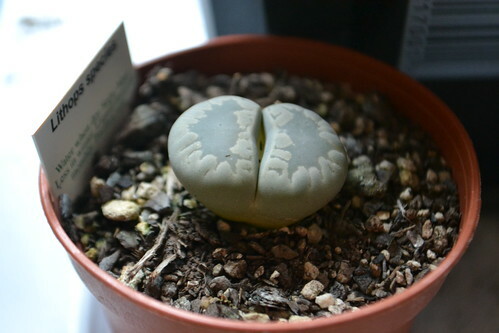 I also have a split rock cactus which tolerates once-a-week watering, but I will be more careful with this Lithops. At first, I was weary of this succulent because the bloom reminds me of the Carrion flower which attracts flies for pollination by being smelly and looking like rotten flesh. 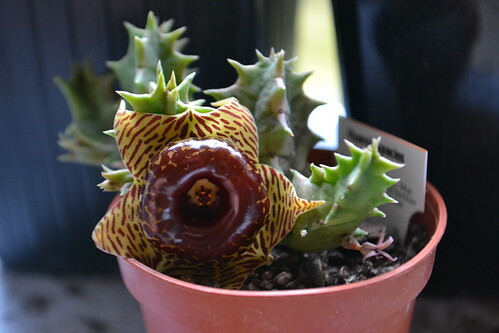 I actually have another plant of this species and its star-shaped flower gave off such a strong, unpleasant smell that my wife thought we were getting mould infestation; I had to bring it out of the house for the duration of its flowering phase. Astonishingly, this one did not smell at all. I just stood there for a couple of minutes, making sure it really did not give off any odour before I took it to the counter. 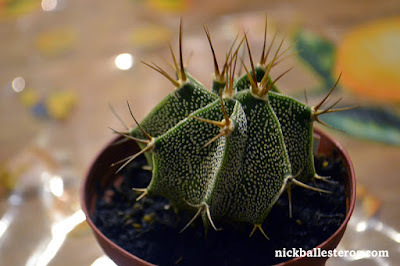 The shopkeeper said it looks like something out of the Little Shop of Horrors. Look at that flower - it's certainly unique! 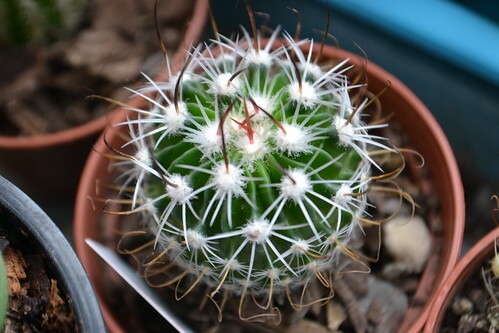 I like Mamillaria because of their bright flowers and are generally easy to care for. But while the ones I currently have are big, solo acts, this one is a group of small balls. I wonder if they would grow any bigger. 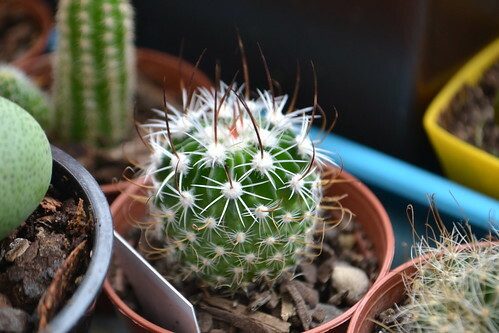 I was attracted to the white thorns on this one. It's a very distinguishing feature. According to Cactiguide, it remains relatively small so that's good. 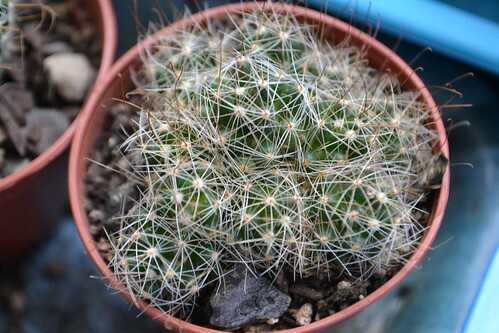 Another characteristic of the Stenocactus is its wrinkled appearance akin to corals. My specimen certainly possesses this characteristic. I can't wait to see how the flowers look like.